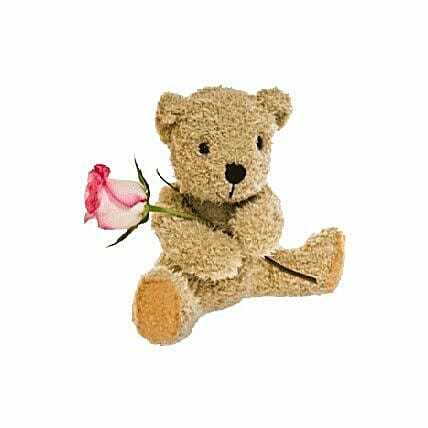 A sweet and soft sandy brown teddy bear clutches a single stem of pink rose. This special gift is designed to pull at the heart strings, and ï¿½Tedï¿½ will make the perfect job of conveying your message of love and affection! "I am really happy and heart full thank you to fernsnpetals. it was delivery on time and made very happy. Thanks Vimal"